2nd San Diego Style Blogger Meet Up Pictures! The night was drizzly and the roads were wet, yet to our pleasant surprise San Diego's Style Bloggers came out in full force! We were happy to meet and reunite with all of you for a night full of laughter, mingling, raffles, photo ops, champagne, cheese & crackers, goodie bags, and getting to know each other. Thank you to all that joined us! Special thanks to Vava Vida and Bubbles Boutique for approaching us with this opportunity. Didn't the goodie from Vava Vida smell delicious?! Make sure to check out their eco-friendly, fairly traded, ethical products here and keep in touch with their team by 'liking' their facebook! Thank you to Bubbles Boutique for their amazing location, generosity and hospitality! The little gifts and raffle prizes were adorable, not to mention being surrounded by all of those amazing pieces! If you were not able to make it, you were definitely missed! We want to thank you for your ongoing support and we will keep you posted on any future happenings! All the goodies at Bubbles Boutique! Paulina, Nahomi, and Erika sharing the cute earrings courtesy of Bubbles! Paulina making a quick thank you speech! The lucky raffle winners of the night! Antoine from Vava Vida and Paulina at the end of the night- 'Tis was a success, high-five! Paulina with Jess and Erika who we want to thank for taking all of these great pictures and their continuous support. This post would have been pictureless without you! A very fun night! It was so wonderful to meet everyone, and to see familiar faces as well. 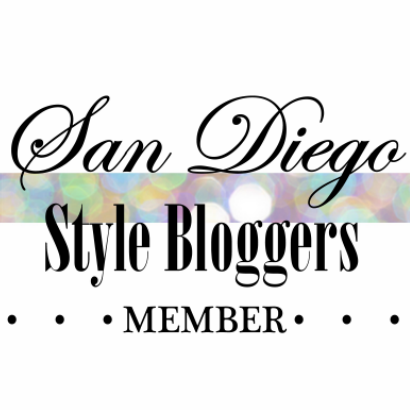 Thanks for the invite and for adding me to your blog roll :) Yay for San Diego bloggers! It was so great to meet you!! Thanks for coming out! Thank you ladies!! I love that my little girl got into some of the pics!! Here is a link to my teaser post, def more to come later cos my daughter took a ton of pics! You all look so stylish what a great event and Bubbles and Vava Vida did an amazing job! I'm so sorry I wasn't able to make it. Let's meet up soon! 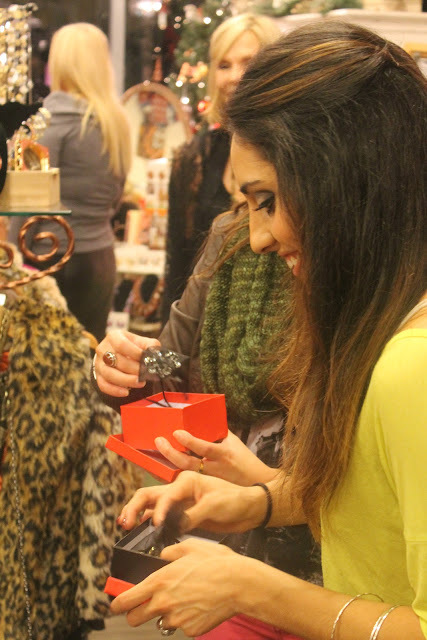 Here's my post about the Style Blogger event, I hope you like it!